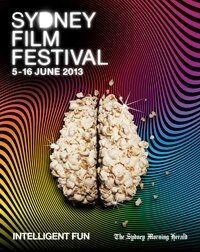 Home » Film Reviews » Sydney Film Festival Round up – 60 film filled years! At the suggestion of my good friend Chris over at moviesandsongs365, I thought I’d give a small closing post regarding my Sydney Film Festival experience. I still have reviews to post – a few feature films, the Paradise trilogy, and I’d like to say something about the high quality short films that I saw – so expect the reviews to continue to drip in over the next week or so. Although I was sad to attend my last film, I have to say (and this is the third year I have attended and the second I have reviewed) it is always with a measure of good will that I bid the festival goodbye. It’s exhausting, to say the least. Usually I saw three to four films a day and by the time I hit Sunday, I was struggling to get out of bed in the morning. Then Monday hit with a crash, and now on Tuesday evening, I’m only just starting to feel ‘human’ again. Nashen Moodley and the Sydney Film Festival team handled everything wonderfully – but for me, even more important than logistics, energy and technical issues is film quality and I have to say with very few exceptions, every film I saw was of a very high standard. They have a great talent for film choice and diversity, and even when the films were popular choices in terms of likely audience numbers, there was a reason for the films inclusion outside the names involved. This eliminates a great deal of tension and means you can relax into the films you can get to knowing you will see one of the best films in the world available at the moment. Because I focused on reviewing I didn’t make to any of the retrospective films this year, usually an aspect of the festival that I enjoy. This year the focus was on Brit Noir, and although i didn’t make the choices part of my festival experience, I intend to examine the subject and the films chosen a little later in the year on this blog. One of the aspects of the festival I greatly enjoyed and appreciated was the Festival Hub, a wonderful place to gather and chat with film friends before and after films. The atmosphere there was pure film focus and I made it my little home for much of the festival. Image from Urban Walkabout Blog. The winner of the Sydney Film Festival official competition was Only God Forgives by Nicolas Winding Refn, and I have no argument with this choice. I loved that film and the link above takes you to my review, if you haven’t had a chance to read it yet. Given the high standard of films around it, to win at this years festival is an achievement indeed. To see the list it was up against, check out the link here. Other films that were the buzz of he festival were The Act of Killing, For those in Peril, Upstream Color, Before Midnight, Frances Ha and What Richard Did. Popular films were The Bling Ring, Stoker, Midnight’s Children, We Steal Secrets: The story of Wikileaks, the Rocket and Wadjda. (Any reviews missing here will be added over the next couple of weeks.) Most of the films were very well attended and many were sold out. The weather wasn’t brutal, and my book was happy company if I had to que up. Two films I avoided consciously were Wikileaks – I have read and heard repeatedly that they don’t really say much about themselves in this film, and I didn’t want to indulge my opinions about that. Also I didn’t see Behind the Candelabra. I will see that eventually, but I confess it doesn’t turn me on much. The Search for Emak Bakir – I can’t remember a time I had this much fun with a film. I felt so good for so long after watching it. One of my favorite films of the festival. 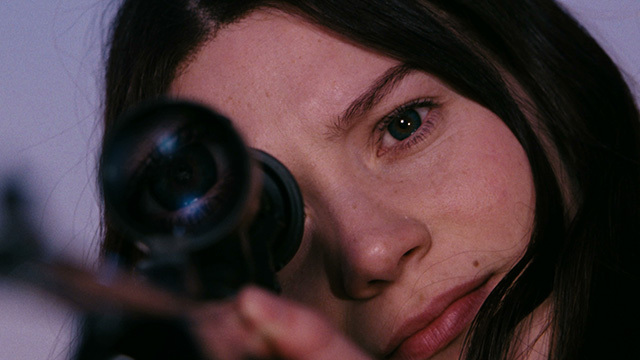 Stoker – I didn’t think it was going to be as good as it was. Upstream Color – It’s been a while since I had this much fun trying to decipher a film. The Broken Circle Breakdown – I was shocked at how strongly I responded. Computer Chess – This film really made me laugh. The Act of Killing – everyone should see this documentary. Before Midnight – It surprised me how much I care and still care for this gorgeous couple. Oh Boy – Made me want to rush to Berlin before it dies again. Final Cut Ladies and Gentlemen – I didn’t expect this to be as gripping as it was. If I really really really have to give you my five favorite films, it would be The Paradise Trilogy (reviews to come) Only God Forgives and Upstream Color. What can I say? I’m a cerebral art house freak. My favorite film is the one that gives us a strong commentary on our world today and speaks a language I have to stretch outside of myself to fully comprehend. I’m happiest in the cinema when challenged and confronted and that’s just who and how I am. I’d rather cringe than laugh, I’d rather knit my brows than nod my head and I’d rather clench my teeth than smile. My five favorites are very disturbing films that interrupt the way we look at the world, and for this little girly there aint nothin’ better about the cinema experience. Thank you Sydney Film Festival for another wonderful year. Thank you to you, for reading your way through and for forming your own opinions. Vive la différence!